Business lists, fax numbers, mailing lists, data software for telemarketing, mailing and more! Need a targeted list? We offer a very wide range of pre compiled lists at extremely affordable prices! Our flat rate pricing can't be beat! States and Provinces for as low as $199.99 and the complete USA, Canada or Australia for only $599.99 and up! Nobody beats our wholesale pricing! Business name, postal address, phone, FAX and web site. Our lists allow unlimiting exporting of millions of business listings! Click here for additional information on various lists and custom solutions. 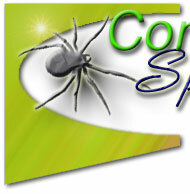 Contact Spyder offers solutions for creating your own mailing lists and targeted contact information. No longer is it necessary to purchase a pre compiled list of business addresses, phone or FAX numbers. Extract your own lists from predefined online yellow pages for FREE! We offer this powerful software to create your own extractions just like the professionals! Download our free 30 day demo and see for yourself how easy it is to compile a list of targeted businesses. Click here for complete product information and pricing.